Take creative selfies based on given theme and Instagram it using the given hashtag. Submit & share to win Monthly Prizes. Also, redeem an item from the TM Rewards catalogue if you want to win the Grand Prize. 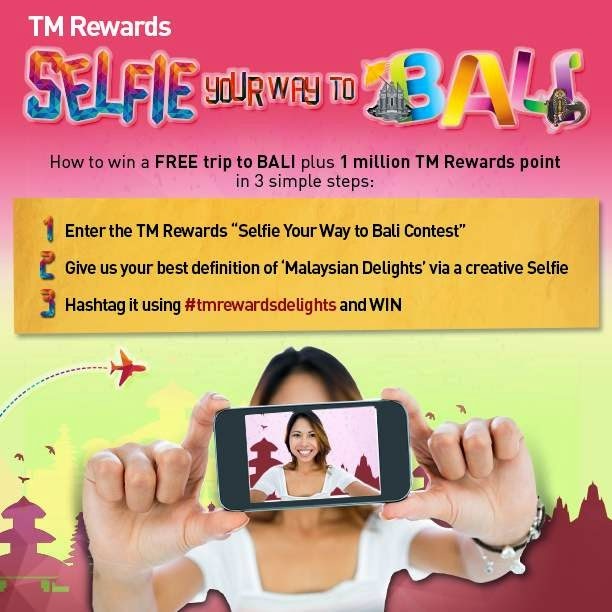 Visit TM Rewards Selfie Your Way To Bali contest page for more details.